Would you like to enter a Chinese market? Develop your business in China? Or simply, would you like to improve your online presence in China? Well, if you have to chose a widely used social media, it should be WeChat. WeChat commonly called Wei Xin (pronounced Wei “shin”) 微信in Chinese is a text and voice messaging mobile app. It was created in 2011, GuangZhou by Tencent, the creator of QQ (text messaging app, email account, etc.) and Qzone. Wei Xin has been growing rapidly since 2012 with the installation of new features such as: QR codes, E-wallet, moments and other great tools. WeChat also entered a new market and went into a battle against Alibaba (more specifically Alipay) because they reinvented e-commerce by offering flash sales. As an example, Xiao Mi, a Chinese mobile phone provider, sold 150 000 phones in 10 minutes. WeChat also managed to expand their activities abroad for example in Thailand, and built a partnership with Didi Dache, a, online taxi booking service provider. The social media platform has never stopped welcoming new users. WeChat has now 697 millions active user accounts worldwide. China is the biggest market. 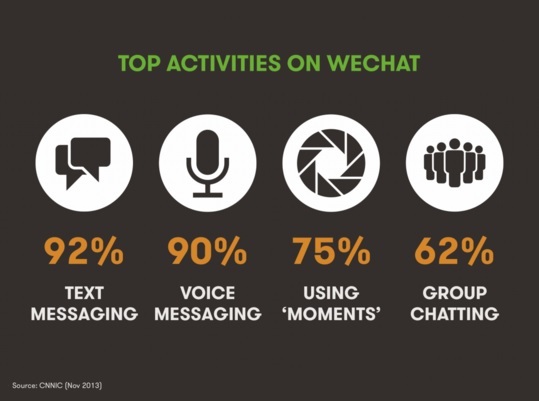 68% of adult Chinese Internet users are active on WeChat with ¾ who have between 18 and 35 years old. As you can see, it is a pretty young community with mostly male users (64% as of 2015). Also, 60% of the users open the app at least 10 times a day! Now that you know that having a Wei Xin account is essential, how can you create one? Then, it will send you a text with a code to verify your account. Please note that you won’t be able to use your account if it is not verified. Having an official account will unlock some specific features for your business. If you want to create an account for your company for example, the process is different. You should go on their website and fill in an Official Registration form. That is exactly what numerous western companies decided to do such as: Pepsi, Burberry or Mulberry. 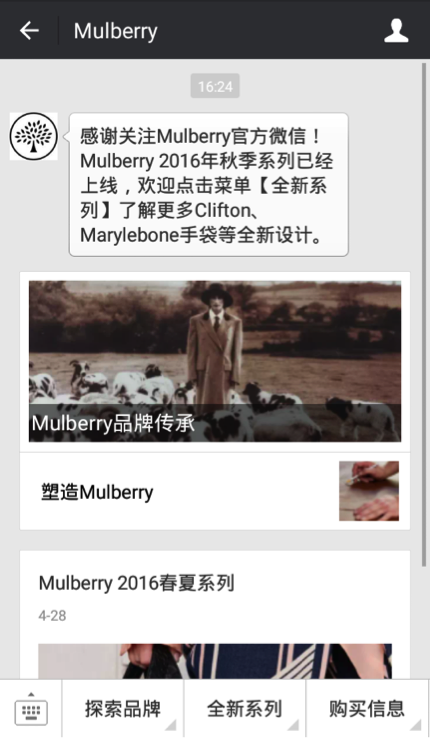 Mulberry created its official account back in 2014. The brand showcases its fashion collections and offers the possibility for its « contacts » to receive exclusive information about the brand such as behind-the-scenes or commercial offers. The main function of WeChat is to send text and voice messages. However, in order to do that you will need to add contacts. They can either be your friends, relatives or your clients, people you meet during networking events, colleagues in your company who have the mobile app. You may ask, how do you add a new contact? There are several ways to do it: Use the WeChat ID, Use the other’s QR code or add the person’s telephone number. This can also work for companies as well with official account. The QR code is still the fastest and easiest way to add a company. 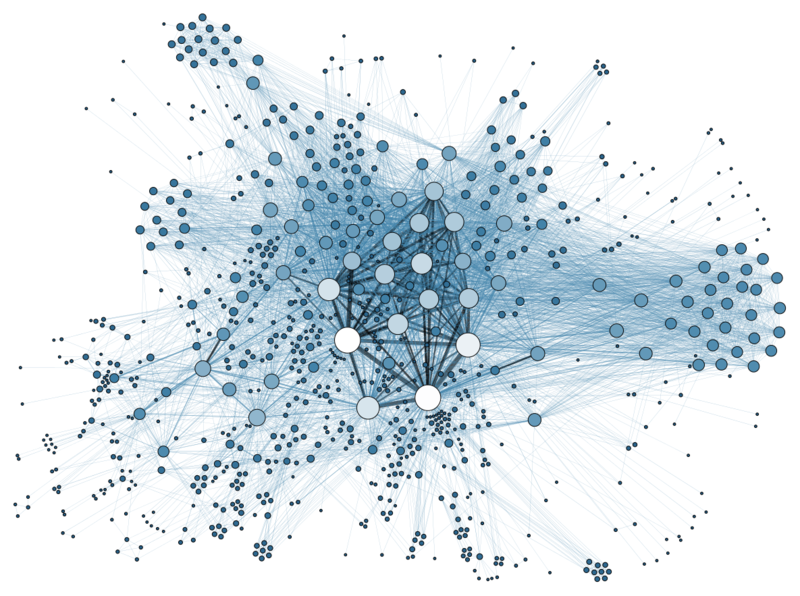 Sharing great content and useful information are essential to build a long term relationship with the customer. Just like any effective text messaging app it is also possible to start or join group discussions. The management of each group depends on the owner’s rules. 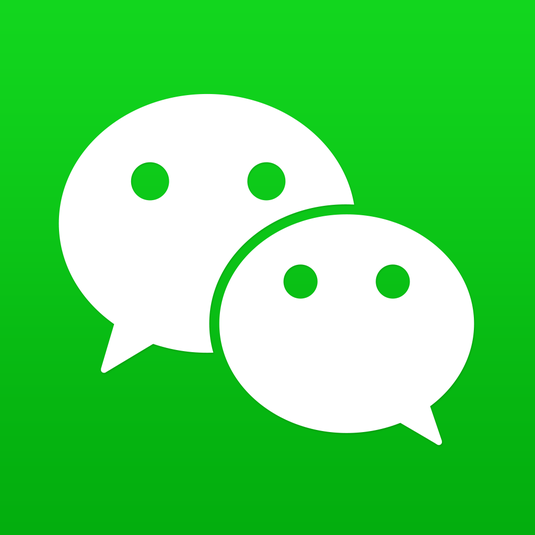 However, it is good to know that discussion groups are for Chinese WeChat users a great way to share insights, advice and collect other’s comments on a subject. If you want your brand to thrive on WeChat you will need to have high quality content. Why? Because, it will give you the opportunity to be found by new followers. There are several ways to share information: group discussion, official account page, one and one message and finally a newbie, Weitie, an app, which combined with WeChat, enables the creation of an internal WeChat page paired with a QR code. First, what is moment? “Moments” are very similar to what we are used to with Facebook updates. WeChat allows you to post a new update viewable by all of your contacts (unless you disabled it yourself in the privacy settings). You can share pictures, videos and written messages. You can even mention other users by just adding @ before their WeChat id. Then, now that you know what “moments” are about, how can you use it to promote your products or services? You can use WeChat moments ads which showcases a picture, a description text (40 characters max), images (max 6 images) and finally a internal WeChat link. One of the most amazing features of WeChat are the e-wallet and WeChat Weidian. The WeChat wallet is basically an online payment tool. Thanks to this, users can secure their online payment by using this wallet to: order food, buy cinema tickets, book a taxi, etc. The social media also recently created an online shopping mobile mall called WeChat Weidian. This is a great opportunity for any company looking to expand its business in China since about 9 out of 10 Chinese Internet users access to the Internet via mobile phone. Bonus Tip: It’s now possible to download a software/app for your computer to sign in WeChat on laptop, however it has limited features and also erases conversation histories when closed. To conclude, the WeChat mobile app can be used in different ways to not only promote your brand, get closer to your target market, but also to sell your products or services. Learning how to use efficiently each WeChat features and constantly staying alert to any WeChat update will help you to thrive and make the best out of this incredible Chinese app. We are a Wechat MArketing Agency and help you to develop your business on Wechat. how are you , my name is hamid im from morocco. I am actually happy to glance at this website posts which consists of tons of valuable information, thanks for providing these statistics.